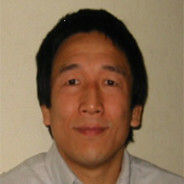 Misaki Iteya is a professor of the Department of Sport Sciences at Waseda University, Tokyo Japan. Main topics of his work include the studies of both physical and skill training, as well as coaching in Judo. More recently he has been conducting a study related to the body dynamics in Budo. Professor Iteya has been working for the All Japan Judo Federation as part of the research staff for over 16 years. He attended the Sydney and Athens Olympic Games with the Japanese Judo team as part of the coaching staff. He later supported the Japanese Judo team as chief director of the research team at the Beijing and London Olympics. He was part of the Japanese national Judo squad over ten years and head Judo coach at Tokyo Gakugei University for 19 years. He led the Gakugei University to victory in the 2013 Japan National Collegiate Women's Championship.